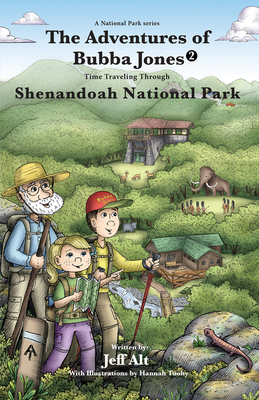 After Inheriting legendary time travel skills from their Papa Lewis, Tommy "Bubba Jones," and his sister Jenny "Hug-a-Bug," embark on a Shenandoah National Park adventure to solve a family mystery. From the moment they reach the park entrance, the excitement begins. As they follow the clues, they travel back in time hundreds, thousands, and millions of years and come face to face with extinct creatures, endangered species, the areas first inhabitants, past presidents, former park residents, and some of the park founders. They travel deep down into mountain hollows, high up onto Talus mountain slopes, and discover more about the Shenandoah than they ever imagined. Explore the Shenandoah with Bubba Jones and family in a whole new way.